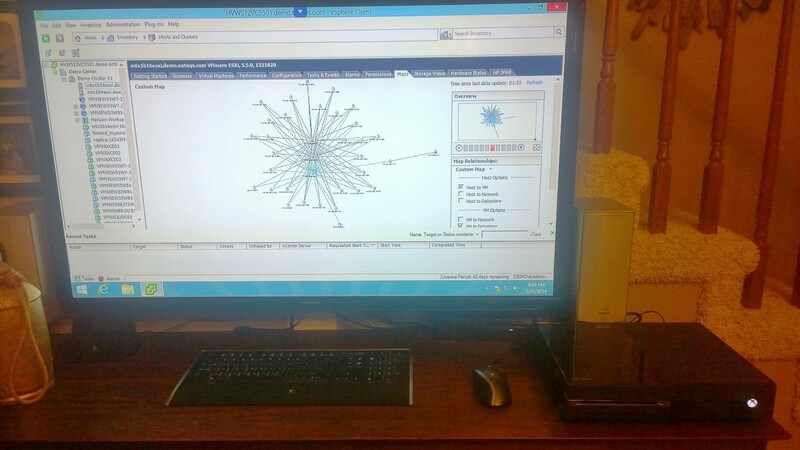 Home / Windows 8.1 VDI Desktop from Microsoft Xbox One, Courtesy of VMware Horizon View and Blast HTML5! HTML5 is the way of the future! With HTML5 based web clients and the fact that every modern browser is HTML5 aware, the possibilities for form factors, price points and device flexibility is limitless. 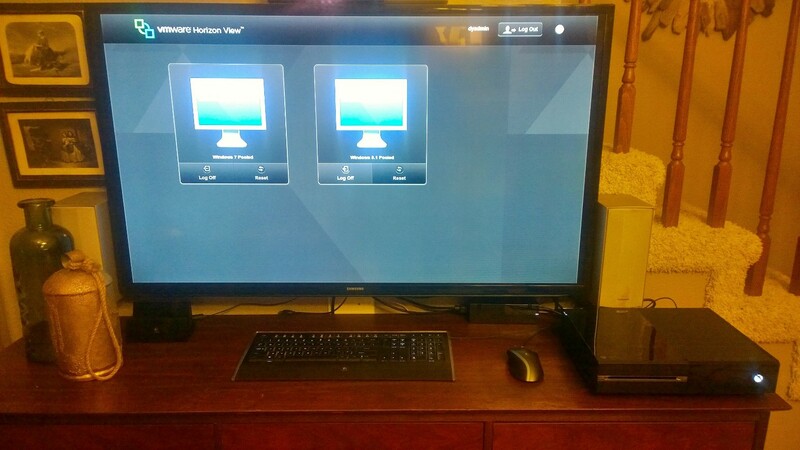 Below is my Microsoft Xbox One, using the Internet Explorer browser and the Horizon View 5.3 web client (Blast HTML5) to connect to a Windows 8.1 virtual desktop! Once connected, I get access to all my Windows Apps and Desktop, just like I would from a laptop, desktop, or tablet! This post was intended to be entertaining, not necessarily a recommendation for use and functionality as the Xbox One controller is quite painful for a virtual desktop. Hopefully this has been entertaining for you and helps open your eyes to the possibilities of HTML5 browser based clients and the impact on the landscape of potential devices! Thanks for reading!